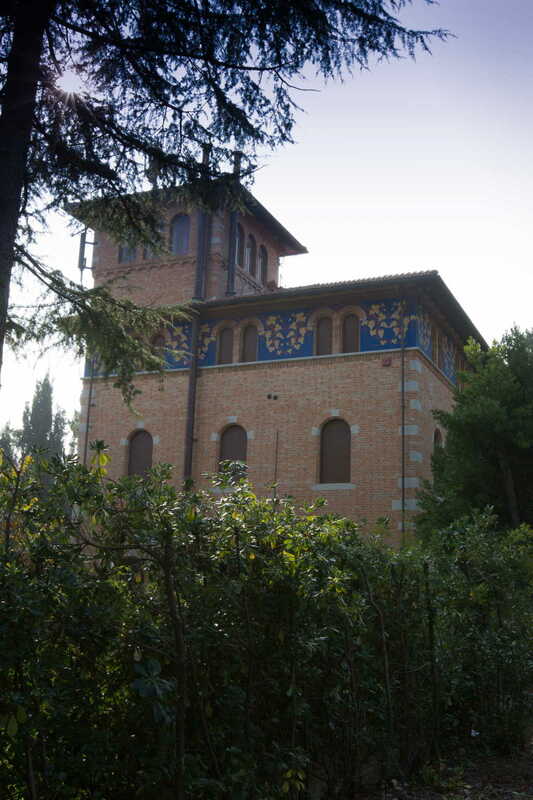 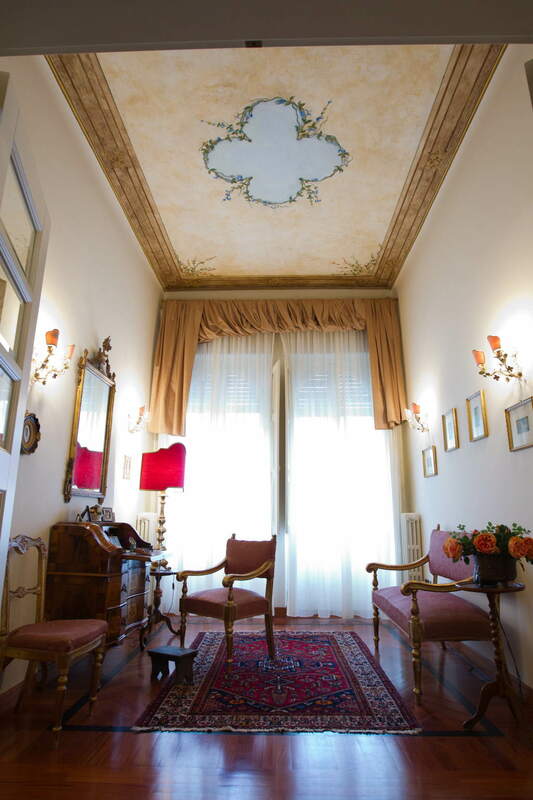 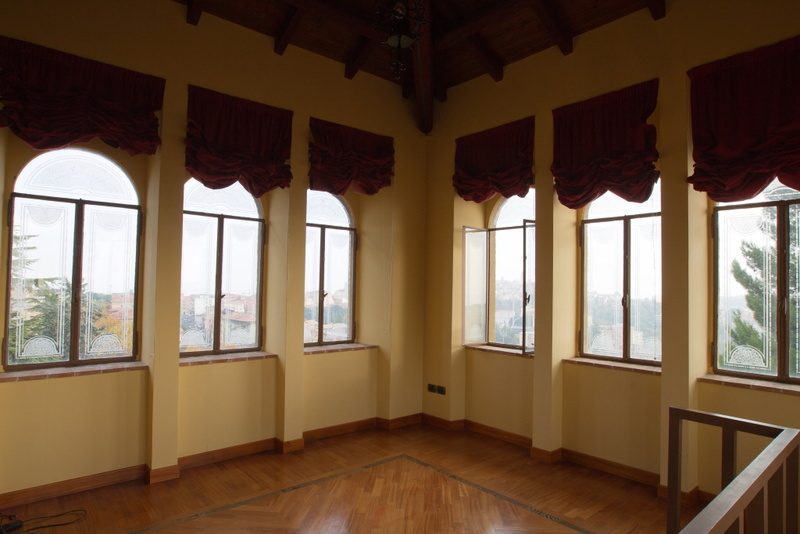 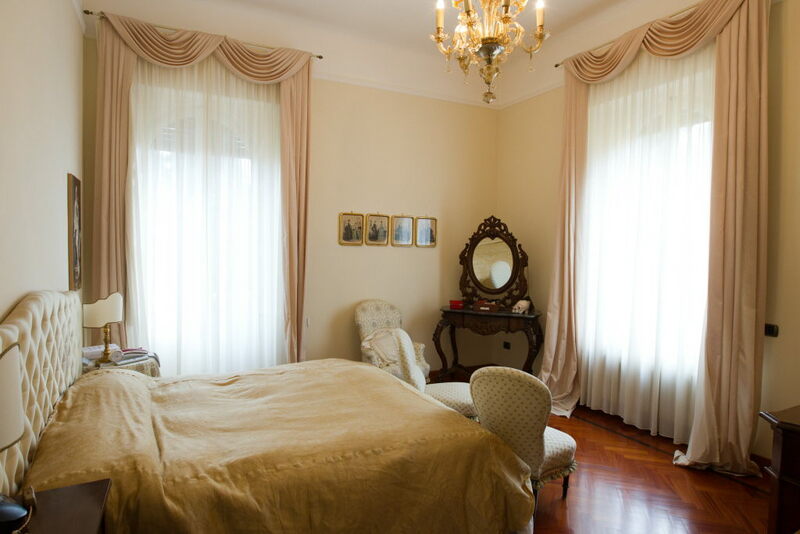 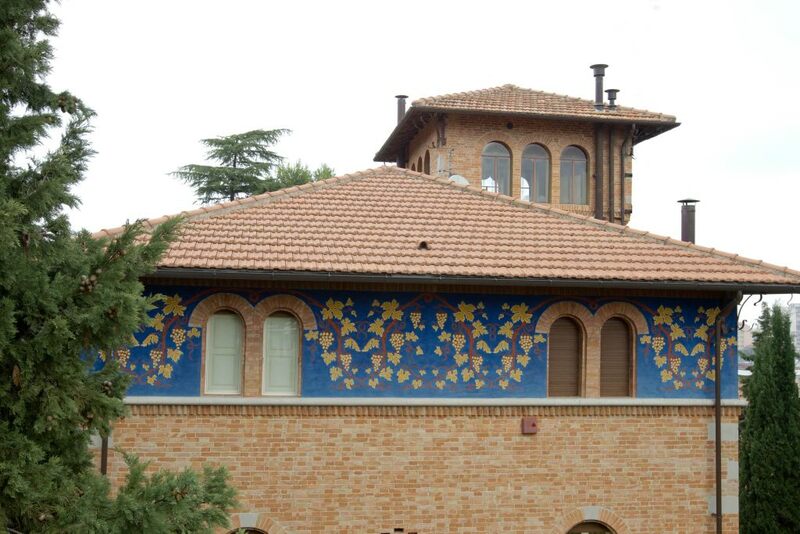 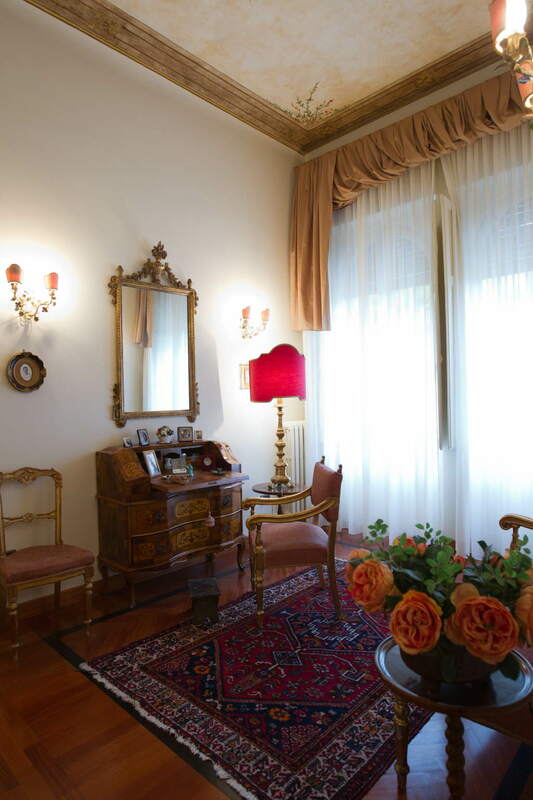 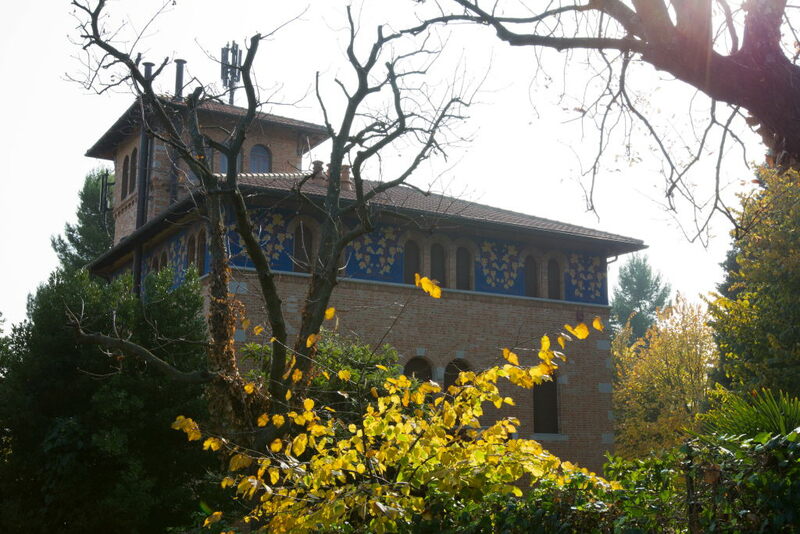 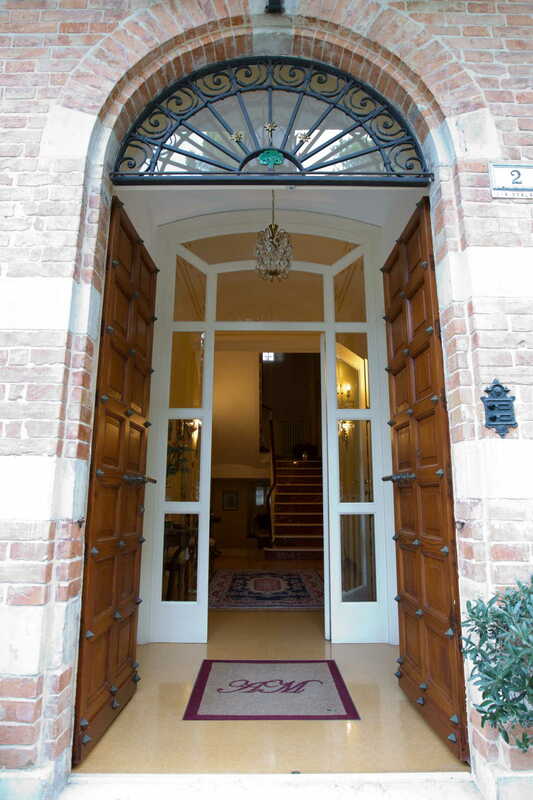 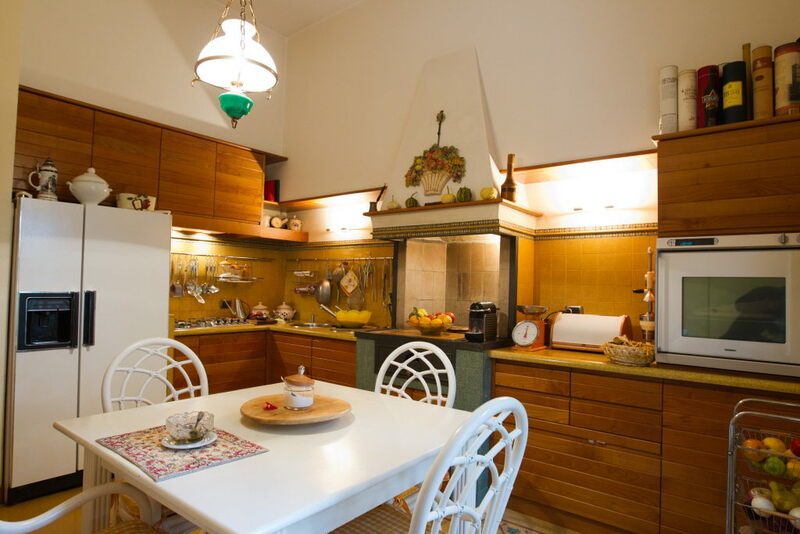 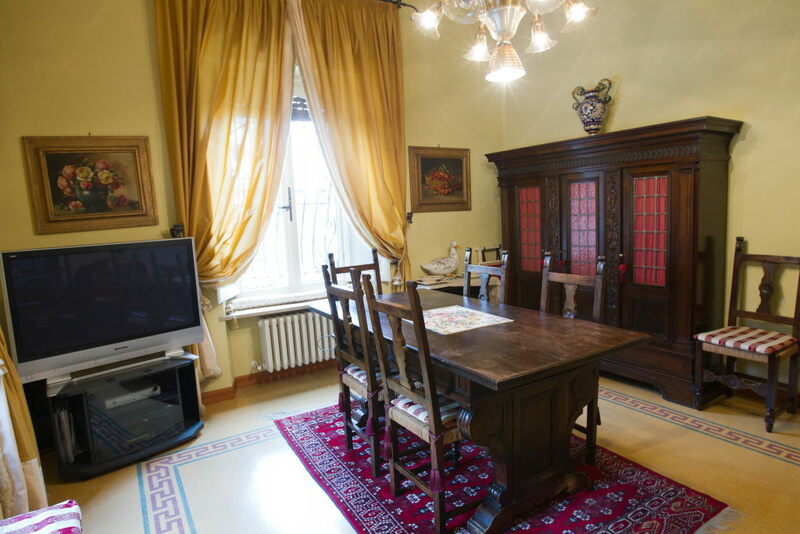 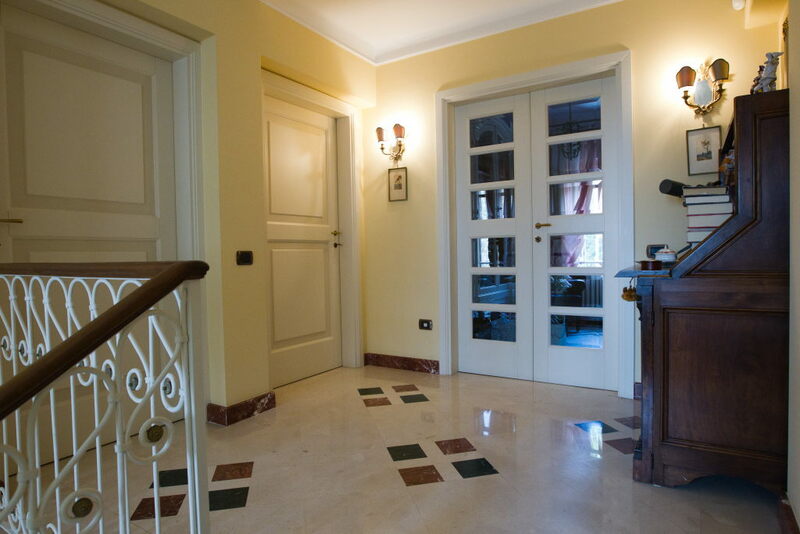 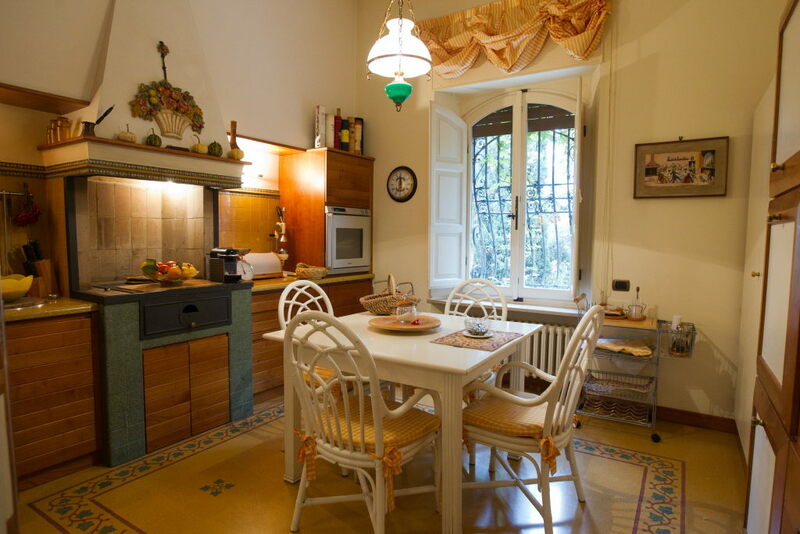 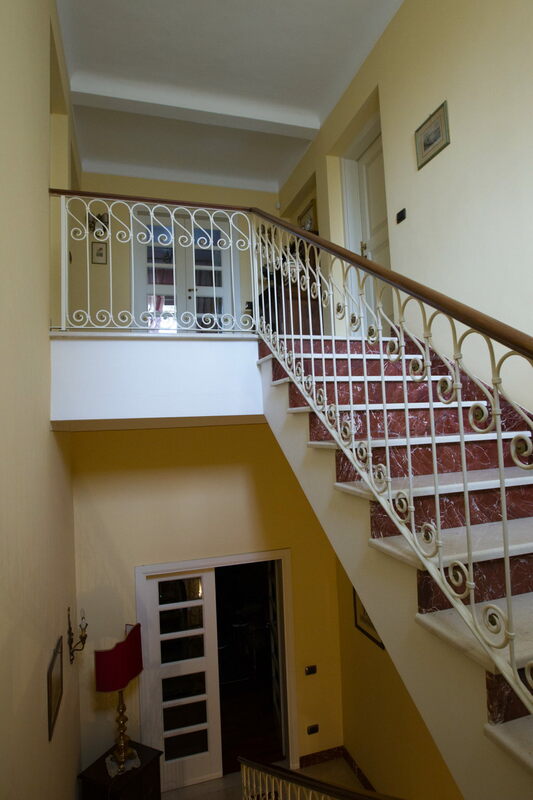 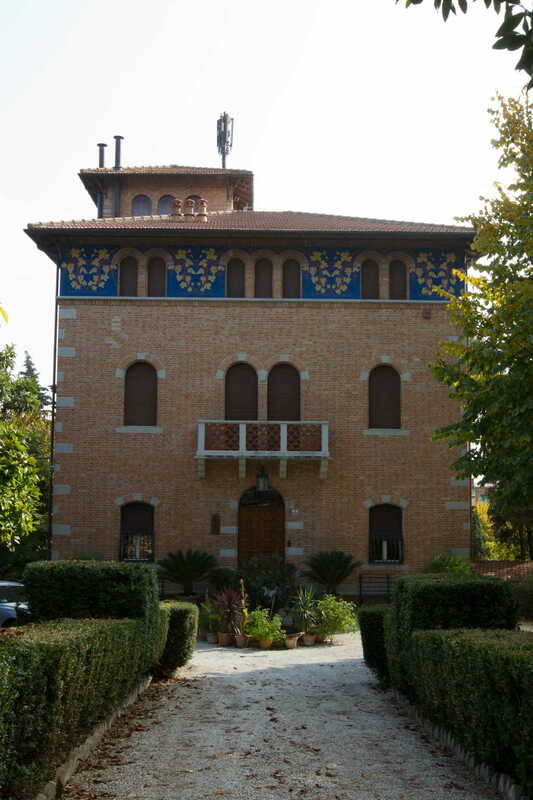 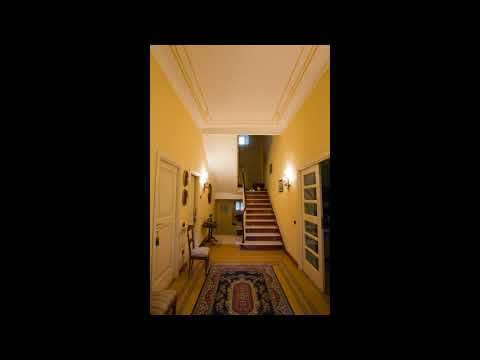 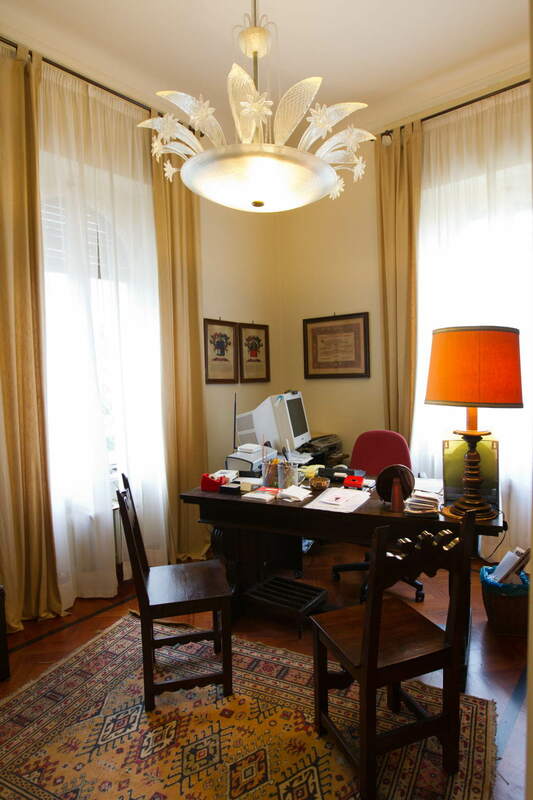 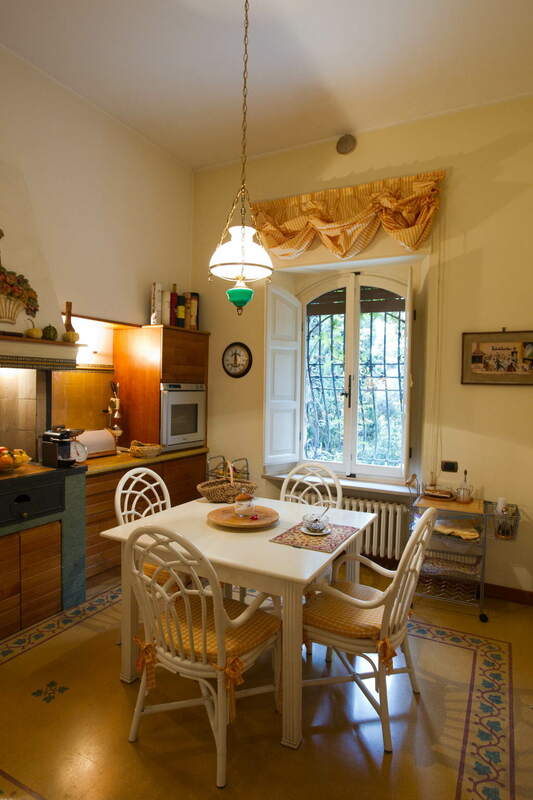 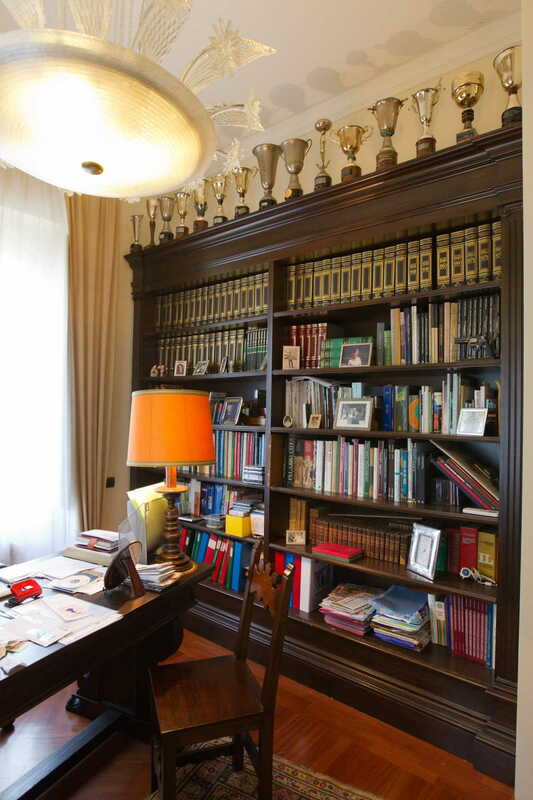 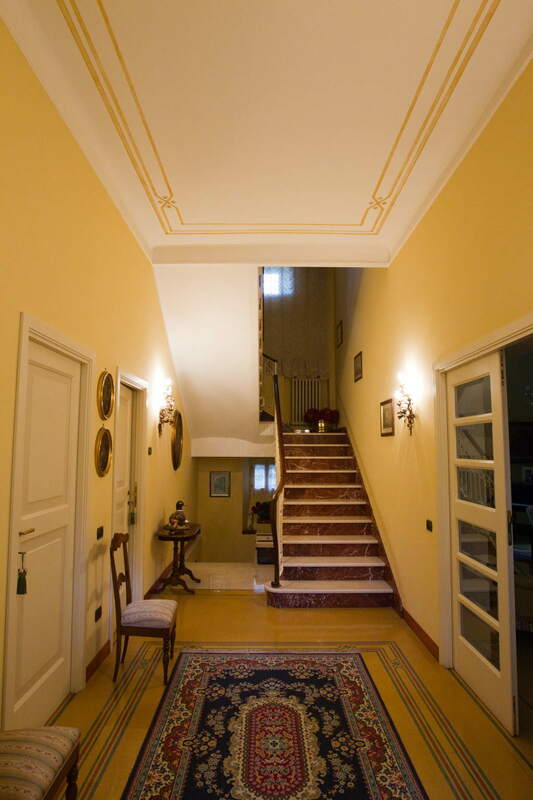 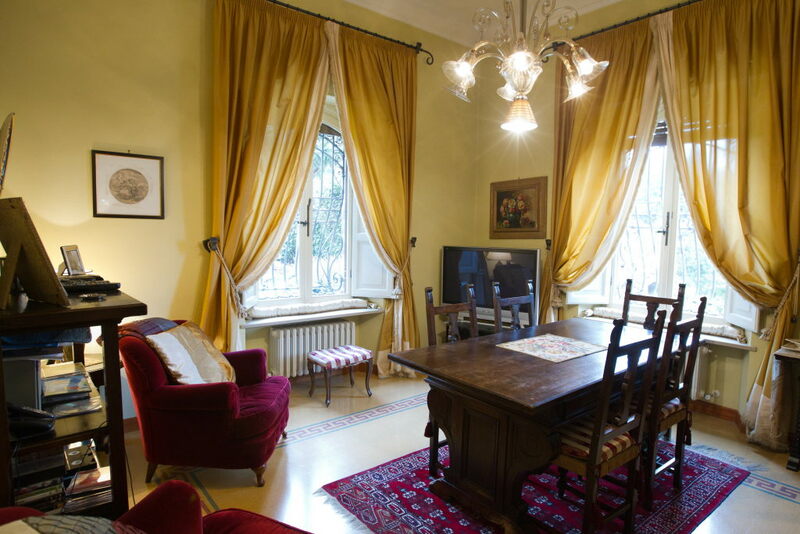 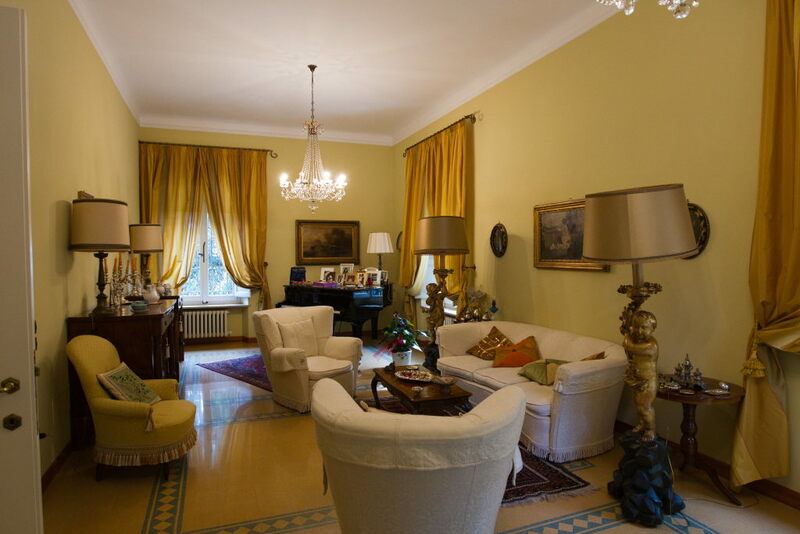 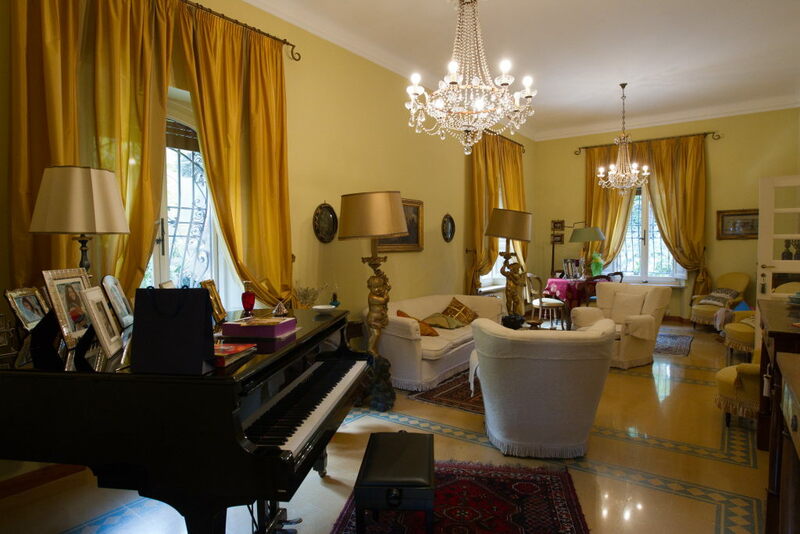 Convenientely located near the centre of Macerata is this splendid Classic Villa Liberty built at the beginning of '900 which is still used by the original family. 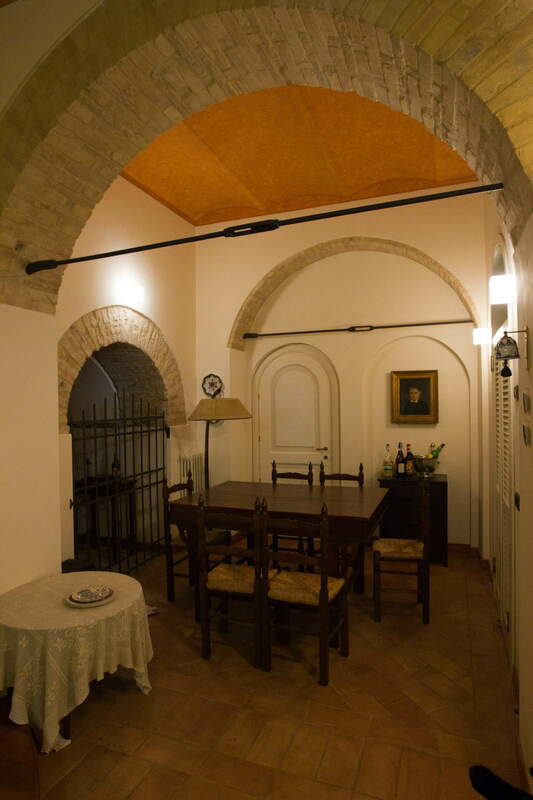 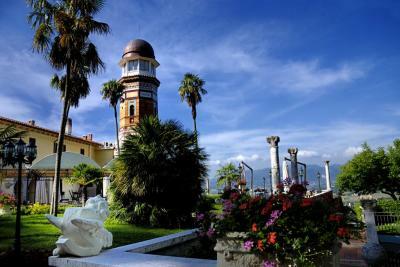 Perched on a hillside the property consists of a building split between 4 floors as well as a splendid tower (for a total size of circa 550 sq.mt) where it possible to enjoy fantastic views across the Conero , Numana sea, Sibillini mountains and the town of Macerata. 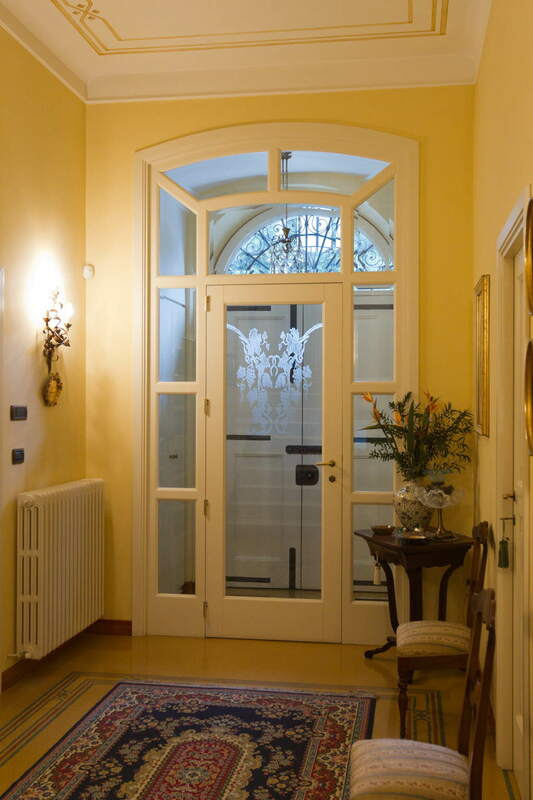 The Villa has been subject to restoration maintaining all the original elements so to preserve the charme of this old dwelling. 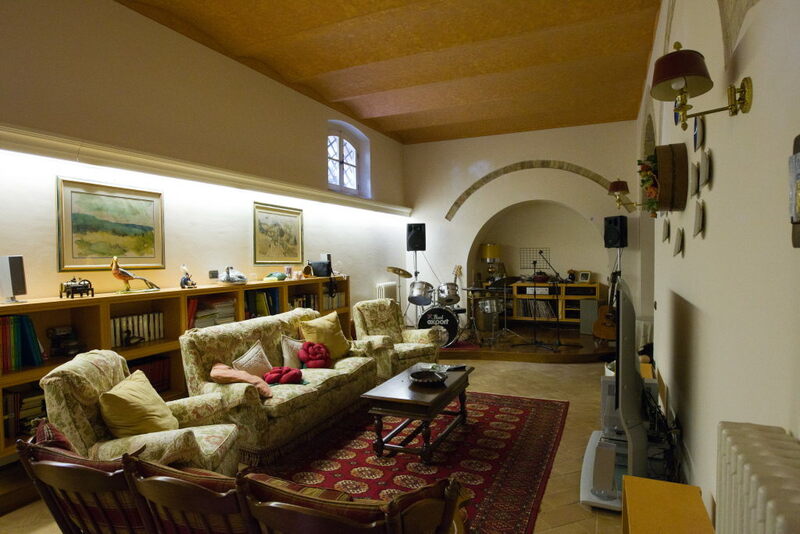 The Villa also has a lower floor which hosts a small but fully equipped kitchen and a confortable room with a big fireplace , ideal as a party room. 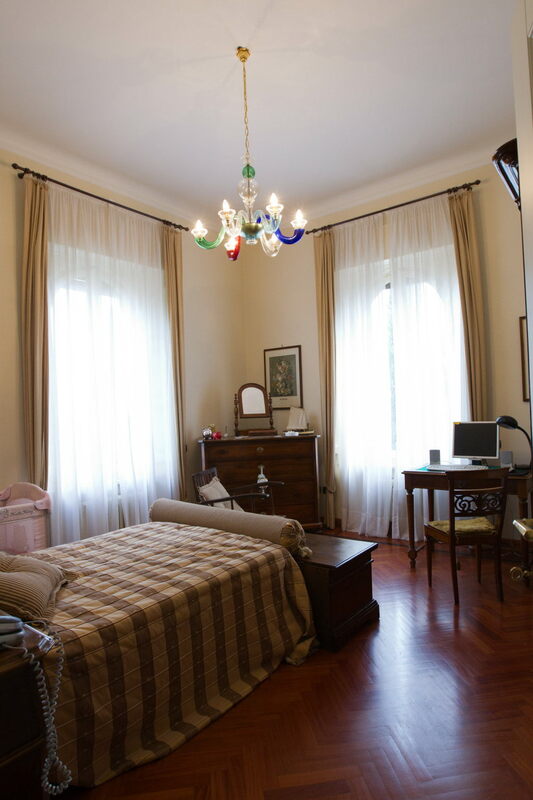 Next to this room there is a laundry and a large garage (big enough for 2 cars) . 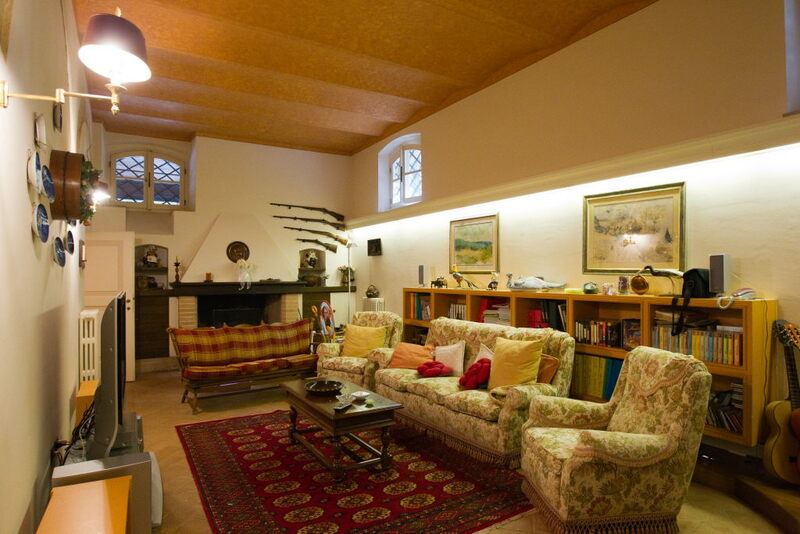 The actual internal layout makes this property ideal for families to share. 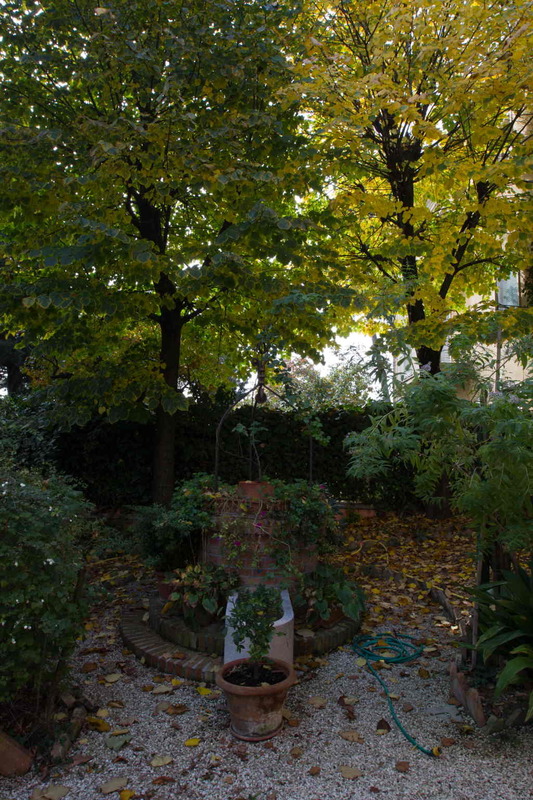 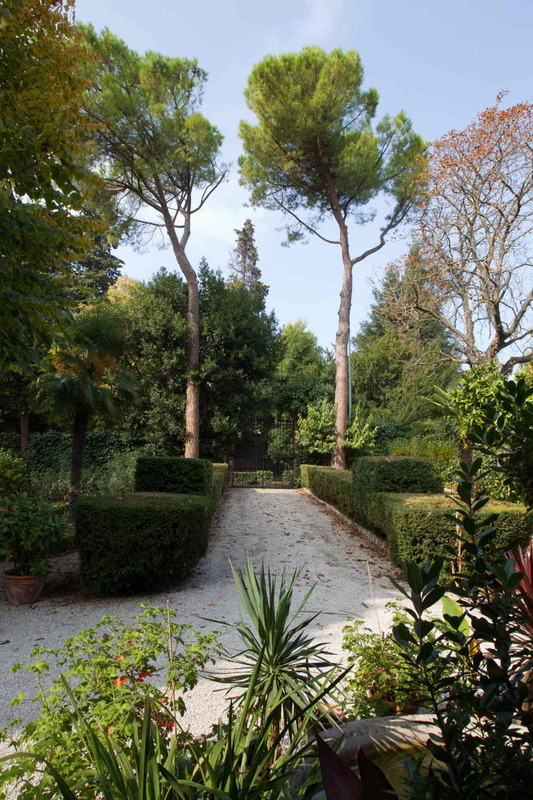 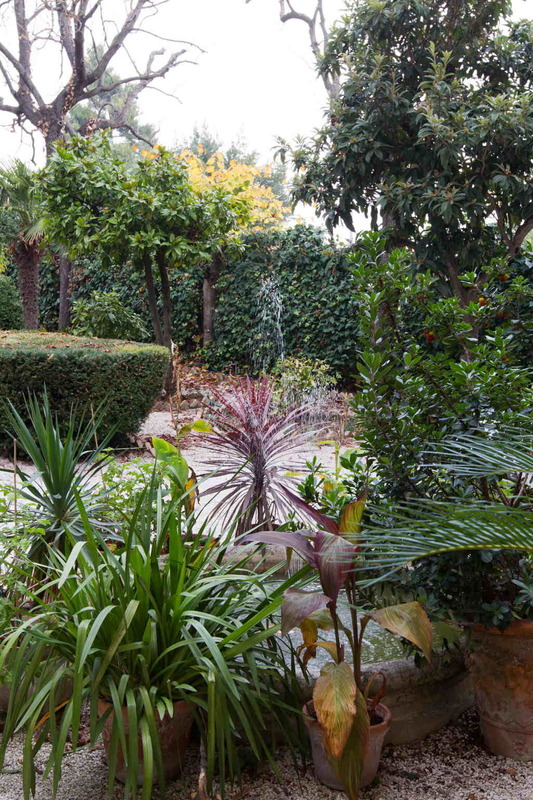 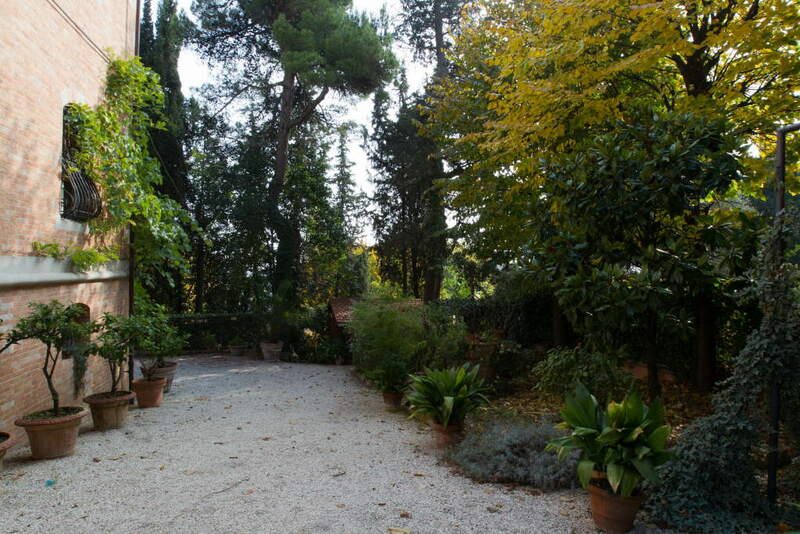 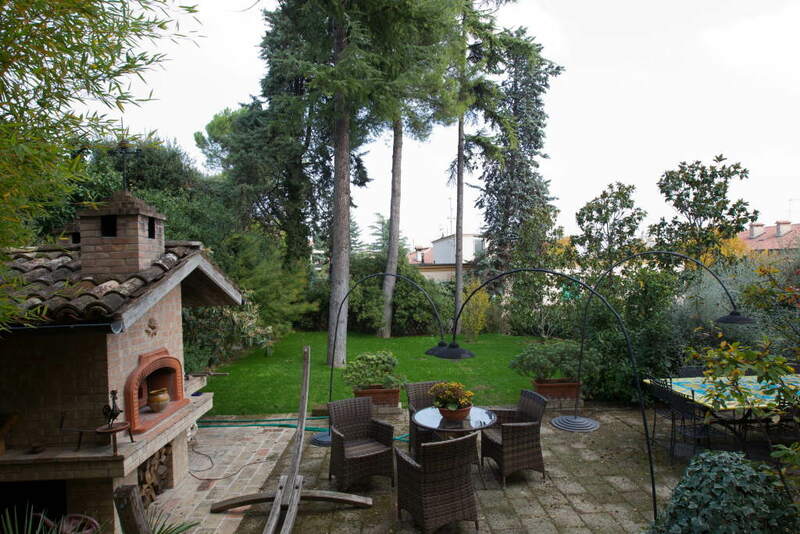 The Villa sits on a plot of land comprising many old trees and a tastefully maintained garden as well as a beautiful panoramic terraced garden of circa 200 sq.mt. 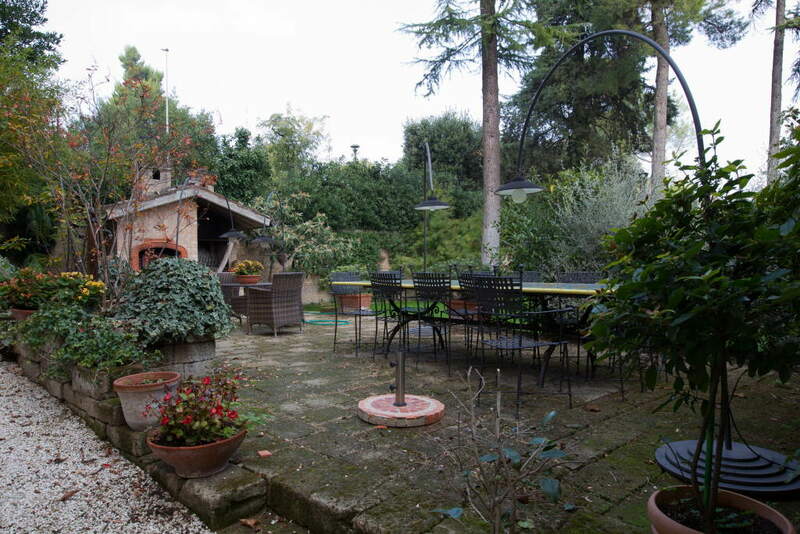 On the edge of the garden is a big wood-burning oven and a small outbuiliding used as a storage and a fenced area for dogs. 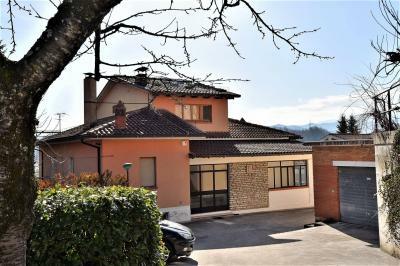 This is a rare chance to Buy a Villa Liberty inside the town , enjoying a private but central setting that dominates the whole town from the hilltop. 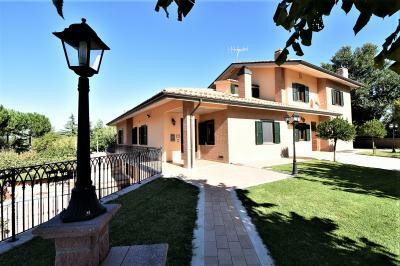 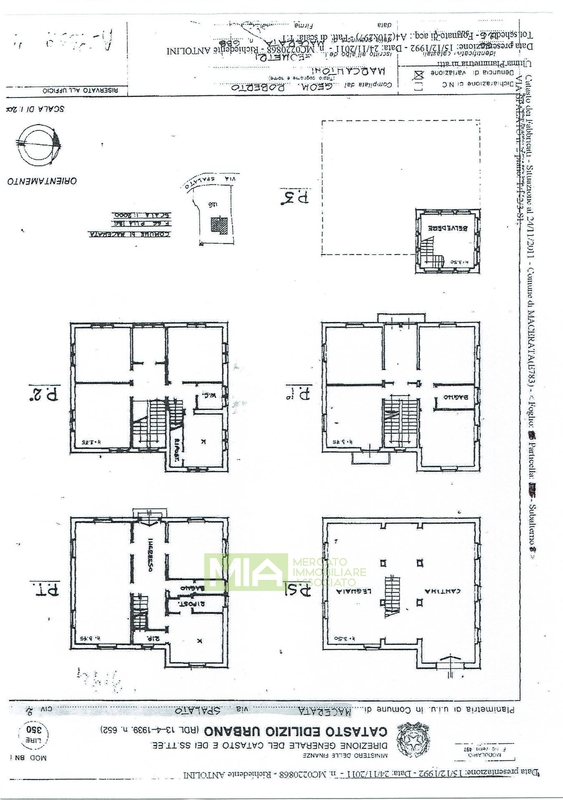 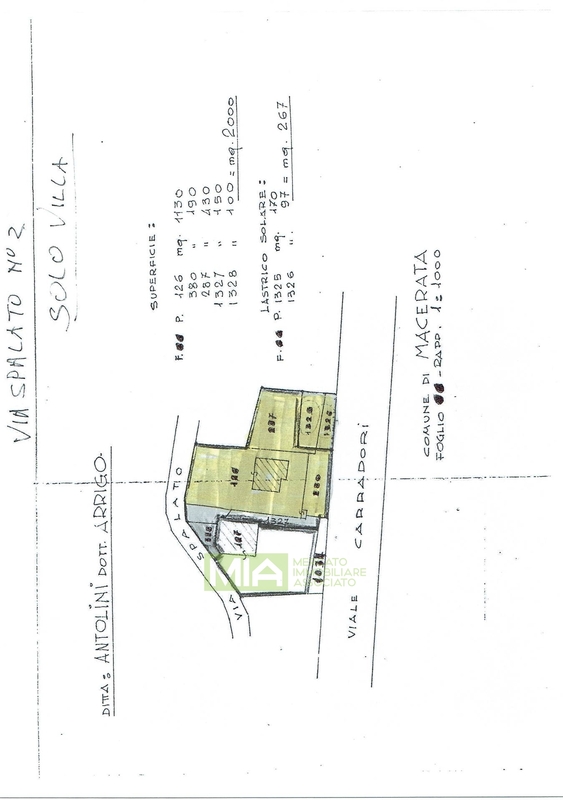 Convenientely situated near the airport of Ancona and Pescara and only 25 km to the sea and 70 km to the mountains, and served by good roads and modern motorway links.